With a new user interface and featured unveiled in Google AdWords, many marketers are learning how to use these new options. From new promotion extension options to household income targeting, there’s a lot to unpack and appreciate with these recent changes. As the platform becomes more nuanced and responsive to the needs of micro-targeting, more and more possibilities emerge for future updates. As it turns out, we already have a sneak peek at what will be release d in the coming months – let’s take a look at some of these upcoming features so you’ll know what to expect. Just when you thought targeting specific audiences couldn’t get more complex, AdWords has plans to unveil new in-market audience extensions that’ll allow you to target specific search campaigns. Currently only available for those using campaigns on YouTube and via Display Network, this change will make it possible for you to target individuals based on search history and a variety of other criteria. While we do not know yet when this will go live, we expect that you’ll be capable of pinging users via these new in-market audiences within the next twelve months or so. The current process for evaluating how each landing page is performing isn’t exactly streamlined. Expect that to change in the near future, as Google AdWords intends to unveil big changes to the format. With a new landing page segment that will allow you to evaluate performance, you’ll be able to simultaneously inspect how each campaign and each landing page is doing from one single page. With these changes, expect users to be able to more adequately assess the performance of campaigns and make relevant changes with minimal work. This should help improve overall performance for those paying attention to their metrics on both desktop and mobile devices alike. Years in the making, AdWords is planning to unveil Google Attribution for AdWords in the near future. How will this help you? In short, the process will take your data from across multiple platforms – AdWords, Analytics and DoubleClick Search, to name a few – and make it easily accessible from one location. This will make it much easier to analyze performance and to run your attribution model across all devices and channels. In addition, it’ll aggregate any results and send them back to you, which makes simple optimization and reporting changes easy. Ultimately, countless marketers are going to find more benefits emerging from this simple AdWords change than virtually any other in recent memory. 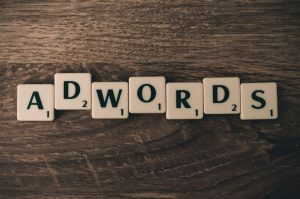 While there are a number of useful AdWords changes to have been unveiled in the past month or two, there are many new ones coming in the near future that you’ll absolutely love. From attribution to new in-market audiences, pinging users with relevant ads – and maximizing performance from the data collected – is going to be easier than you ever imagined. What big change are you looking forward to the most? Leave us a comment below and tell us what you’re anticipating. How Will AI Impact the Search Engines?